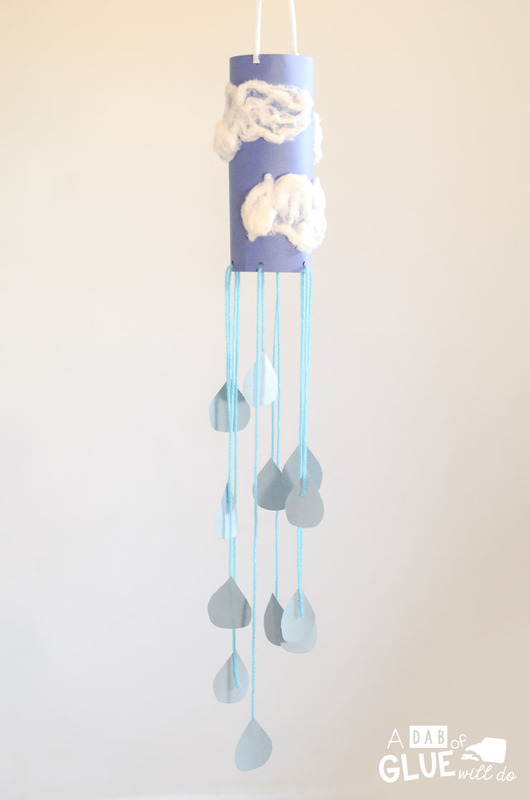 Learn about wind and weather with this Clouds and Rain Weather Windsock Craft. 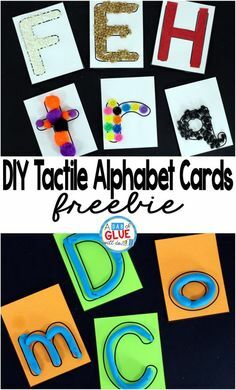 It’s a fun activity for elementary aged kids, and great for preschoolers to practice fine motor work. 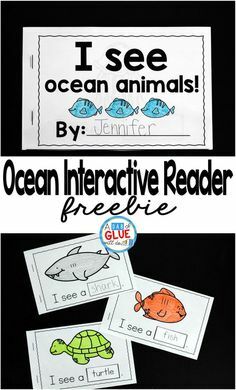 Use it to decorate your classroom or on the porch at home and watch as it catches the wind! 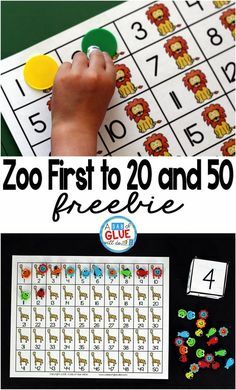 Want to see a quick video about this resource? When you are done scroll down for more details. After getting out all of the required materials, I precut the yarn into 2 foot sections. Smaller pieces may be easier to manage, but anywhere between 1-2 feet will work nicely. I also cut out the rain drops to save time. 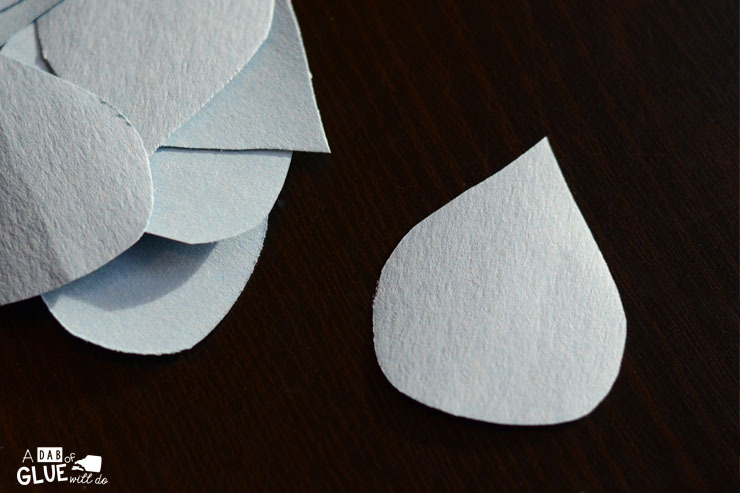 I did this by drawing a raindrop shape to use as a template, and then cut several out of a light blue piece of construction paper. 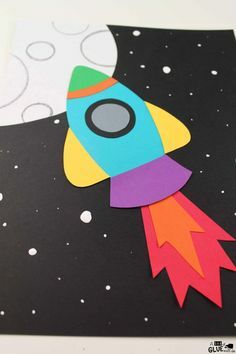 This goes quickly by folding the paper into a small square and cutting many at a time. 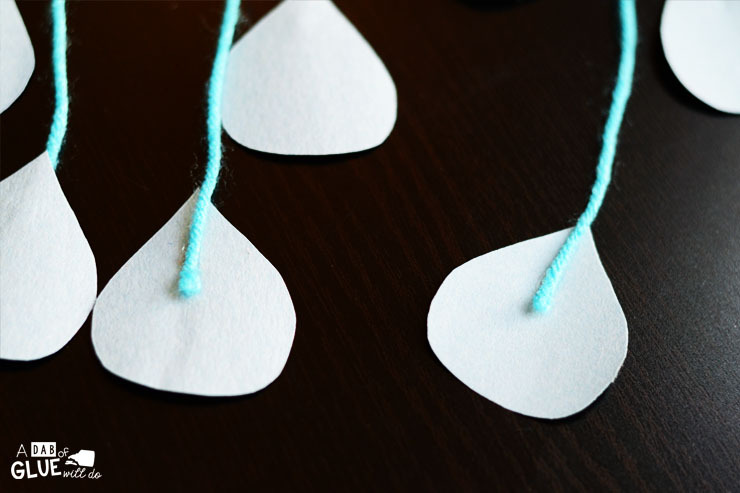 You may also want to pre-punch the holes along the bottom edge of the paper, and two on the top. 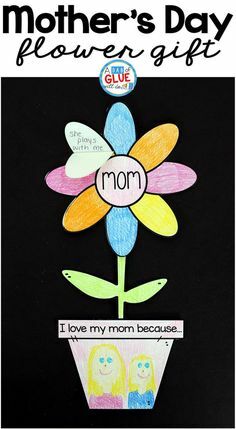 I chose to wait because and let my my preschooler do it because really enjoys using a hole punch. The strings will be doubled up, so if you punch 6 holes, there will be 12 rain drops. Use less or more depending on the desired difficulty level. 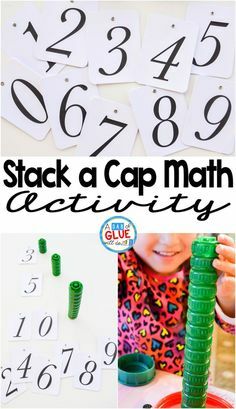 This activity can be completed all in one sitting, or can be done in multiple steps spread throughout the day. First, students will need to make the clouds. 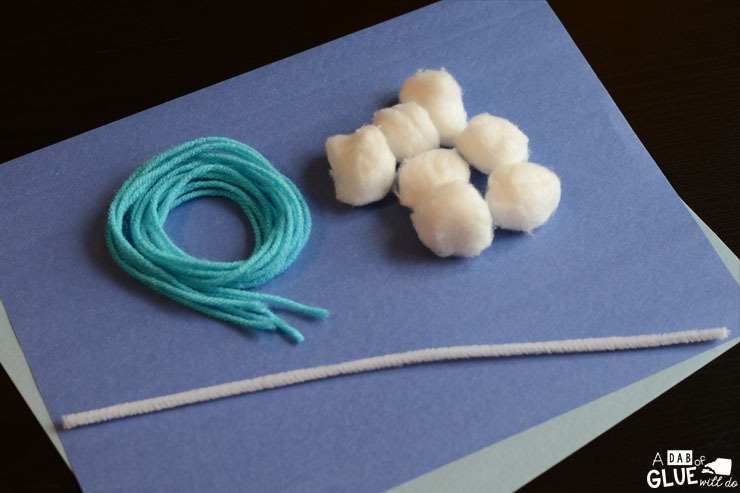 Do this by pulling and spreading the cotton balls (great fine motor activity) and gluing them to a blue piece of construction paper. This may be a good place to stop for a break while the glue dries, although it’s not necessary as we found that the cotton balls stay on well while completing the rest of the craft. 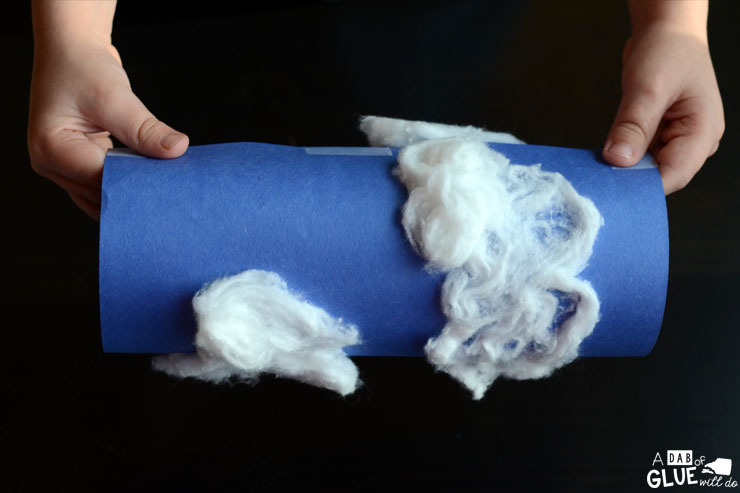 Next, you will want them to roll the paper into a tube and use tape to secure. Younger children may need help with this part. After the tube is made, the students will use a hole punch to punch some holes around the bottom of the windsock (if it’s not already done in preparation). Next the students will put the yarn through each hole. These do not need to be tied because the rain drops will be attached to each end of the yarn. 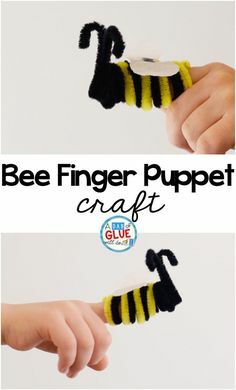 This ended up being a great fine motor activity as my preschooler carefully poke and pulled the yarn through the holes! 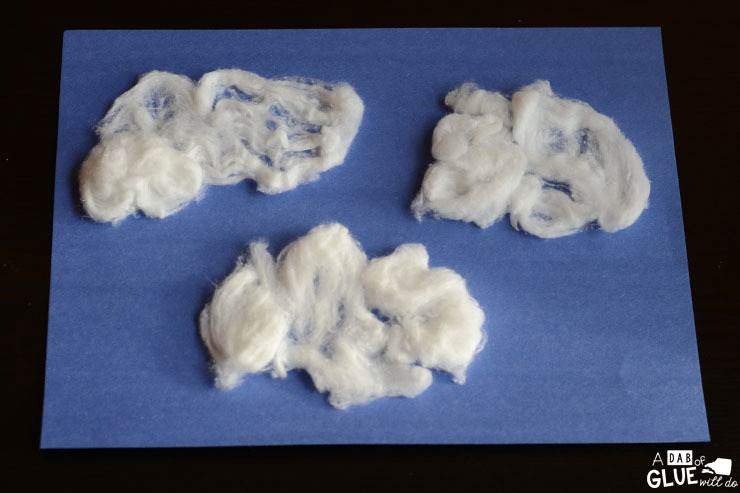 After the yarn is through each hole, the students will glue a raindrop to the end of each piece of yarn. To finish this craft, put the pipe cleaner through each hole on top of the windsock and bends the ends to secure. Download your free Raindrop Facts Printable below! I hope that you and your students enjoy this Clouds and Rain Windsock! Emily formerly taught extra-curricular activities with elementary school children and now stays at home with her two young boys. She loves to get out exploring and learning alongside them. 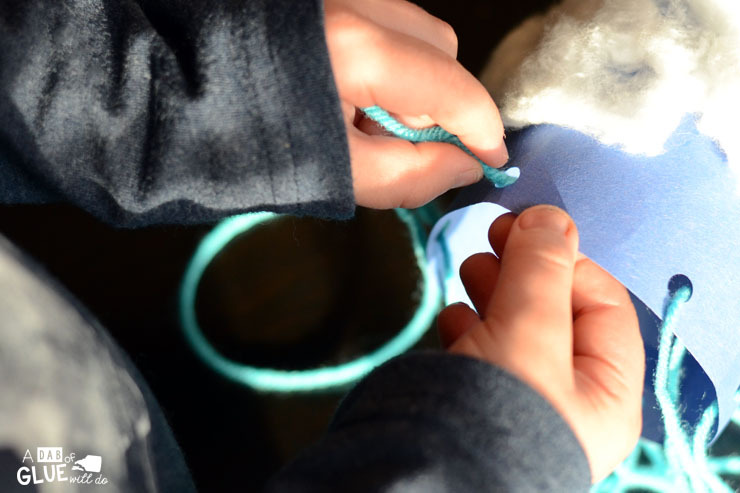 More about their adventures and activities can be found at To be A Kid Again, where Emily shares hands-on learning ideas, crafts, family fun, and more.